10 Reasons to Purchase the Premium WordPress Headway Theme Right NOW! I make my living working online. More specifically I make my living helping others manage what they do online; that includes things like social media, newsletters, overall digital presence and of course helping people build their most important online asset – their website! A big part of my life is focused on finding great solutions to hard problems that enable my clients to focus more on their objectives rather than overcoming obstacles. In fact, this is a large part of what people pay me for. When it comes to building a new website there are many options to build on but for me, I always steer my clients to WordPress in large part because not only is this open source (free to use) product fantastic (great technology + an amazing community = big win for user), I also happen to be pretty good at using WordPress so for me and my clients, WordPress is a great solution in large part because as their advocate, I am very able to remove many “obstacles” quickly, which allows us to focus more on objectives.Not only is WordPress an amazing publishing platform, but there is also a very wonderful ecosystem surrounding WordPress with the ability to use both Free and Premium (paid) Themes (and Plugins) to help provide added functionality and usability to the basic WordPress installation. I've used a number of great premium themes on client projects and I have even been invited to publicly demo some themes at the Boston WordPress Group. Beyond the demos and my own usage experiences I have also done a ton of research on my own – this is a big part of what goes in to how I “earn” a living - doing the homework and really knowing that I can deliver good solutions. 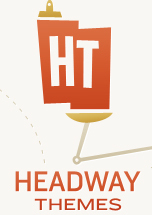 At the end, I built my site the Headway Theme * so here are 10 Reasons to Purchase the Premium WordPress Theme Headway Right NOW!